Juniper Ex Curvy Plus Calf Ex Wide Fit is rated 4.1 out of 5 by 38. 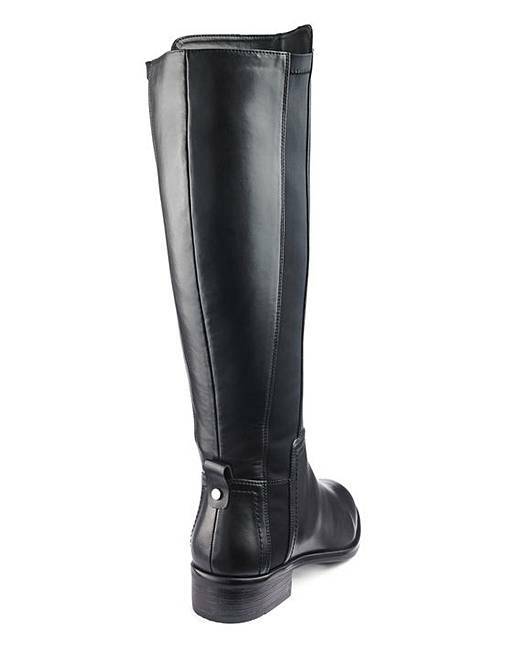 Affordable and chic - these easy-to-wear knee-high boots are perfect to wear with jeans or tights. 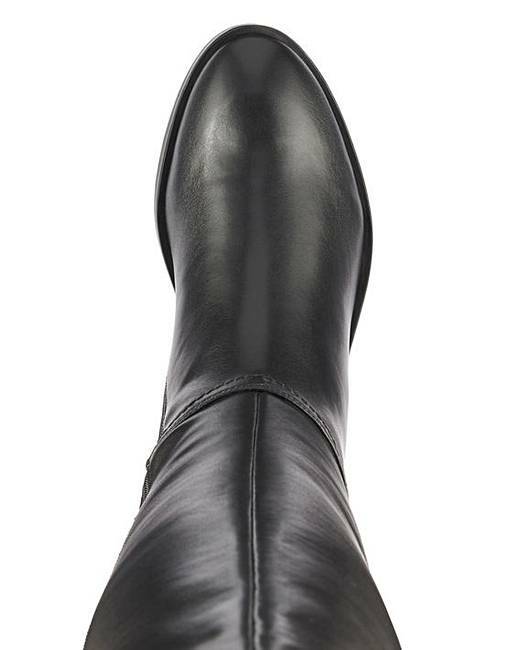 With elastic detailing at the side and an inside zip - Juniper is the ultimate casual boot. 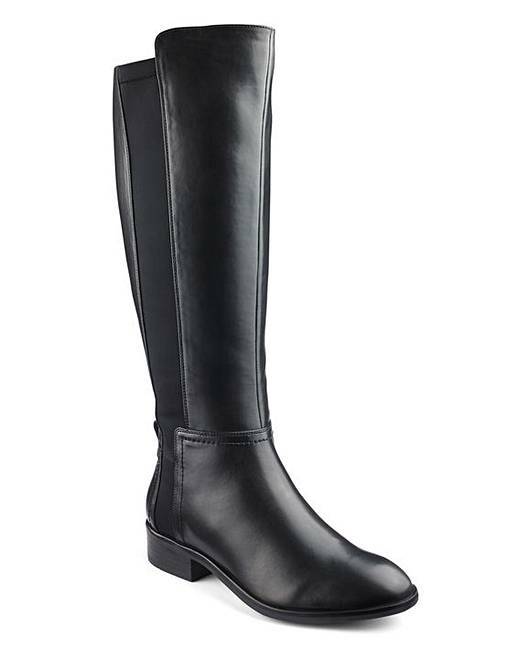 Available in a wide range of calf fittings - your perfect fit awaits! Rated 1 out of 5 by Nicsy from Uncomfortable I bought these thinking they’d be great for a trip away. On trying on I thought they were perfect but once I wore them for the day I realised they were the worst things I’ve ever had on my feet. They rubbed all the skin off my heels as they creased over. The heels are made from rubber but are hollow so go flat when talking on them making the whole foot feet totally unsupported. I wish I could return them. They’re a total waste of money. 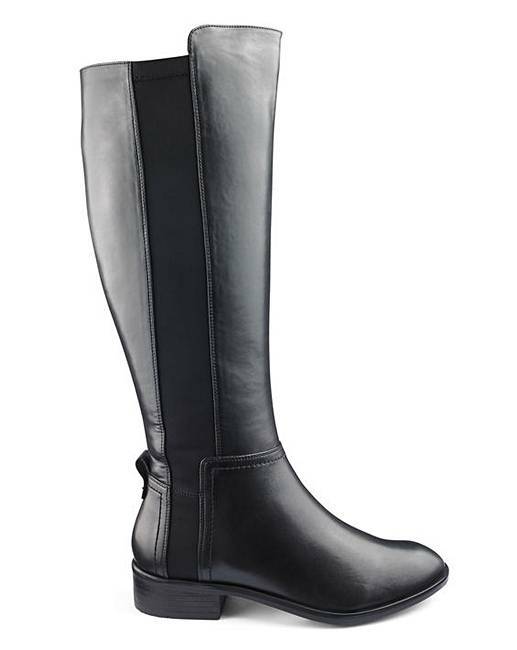 Rated 5 out of 5 by MarieLou73 from Comfy boots My calves are fat so these boots are perfect. Very comfortable and look good on. Very pleased with them. Rated 4 out of 5 by Gromit55 from Comfortable I bought these as they were on sale, wide fitting and wider calf sizes. 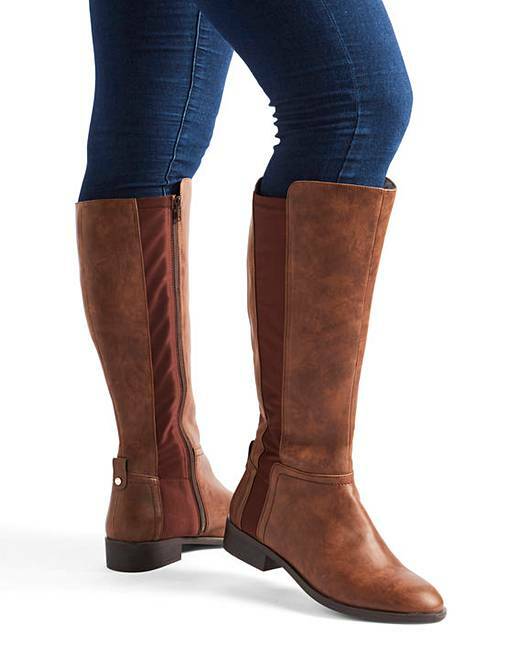 Although the extra curvy plus calf is a little too wide they are still a great buy and so comfortable, can't wait to wear them. Next time l purchase l will go for a lower curvy calf size.